Mubychem Group, established in 1976, is the pioneer manufacturer of Ammonium Phosphate, Pharmaceutical, Fragrance & Flavor chemicals in India. Mubychem Group has several manufacturing facilities spread across Gujarat and Mumbai India and world wide contacts and toll manufacturers. We are exporting globally to countries like USA, Europe, UAE, South Africa, Tanzania, Kenya, Egypt, Nigeria, Uganda, Turkey, Mexico, Brazil, Chile, Argentina, Dubai, Indonesia etc. Ammonium Phosphate is offered in two grades namely Technical Grade and Pure A. R. Grade. Mono ammonium phosphate also called Monoammonium phosphate or Ammonium dihydrogen phosphate, NH4•H2PO4, is formed when a solution of phosphoric acid is added to ammonia until the solution is distinctly acid. It crystallizes in quadratic prisms. Monoammonium phosphate is often used in the blending of dry agricultural fertilizers. It supplies soil with the elements nitrogen and phosphorus in a form which is usable by plants. The compound is also a component of the ABC powder in some dry chemical fire extinguishers. This substance is also supplied in a jade green or aquamarine crystal growing box kit for kids. Monoammonium phosphate (MAP) is used as a fire-prevention agent for fabric, timber and paper, as well as a fire-prevention coating, and dry powder for fire extinguisher. For food grade it is mainly used as a fermentation agent, nourishment, and so on. Used as a high effective non-chloride N, P compound fertilizer in agriculture. Its total nourishment (N=P2O5) is at 73%, and may be used as a basic raw material for N, P and K compound fertilizer. Di ammonium hydrogen phosphate also called diammonium phosphate or di ammonium phosphate, (NH4)2HPO4, is formed by evaporating a solution of phosphoric acid with excess of ammonia. It crystallizes in large transparent prisms, which melt on heating and decompose, leaving a residue of metaphosphoric acid, (HPO3). 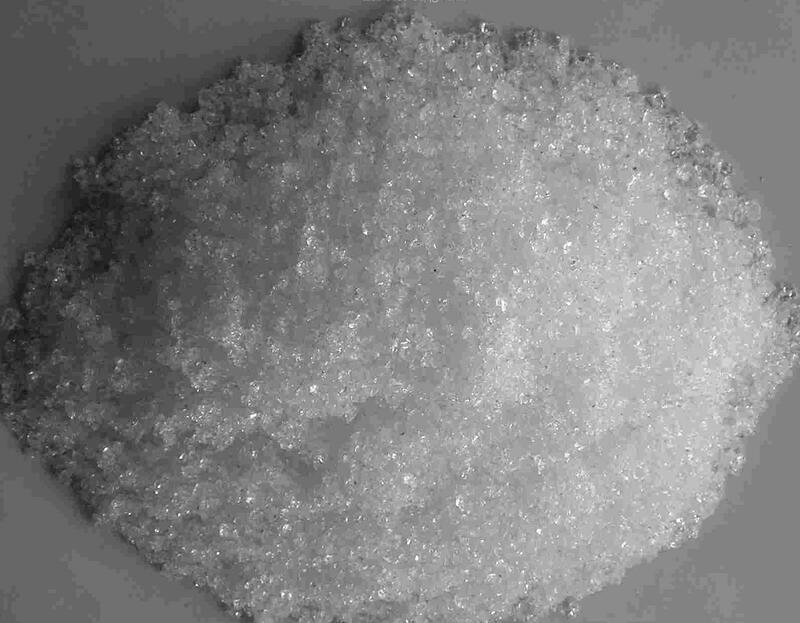 Di ammonium phosphate (DAP) (chemical formula (NH4)2HPO4 ) is one of a series of water-soluble ammonium phosphate salts which can be produced when ammonia reacts with phosphoric acid. Other names include ammonium monohydrogen phosphate, and ammonium phosphate dibasic. Diammonium phosphate (DAP) is used as a fertilizer and a fire retardant. When applied as plant food, DAP temporarily increases the soil pH (more basic), but over a long term the treated ground becomes more acidic than before upon nitrification of the ammonium. DAP is incompatible with alkaline chemicals because its ammonium ion is more likely to convert to ammonia in a high-pH environment. As a flame retardant, it lowers the combustion temperature of the material, decreases maximum weight loss rates, and causes an increase in the production of residue or char. DAP is also used as a yeast nutrient in winemaking and brewing mead; as an additive in some brands of cigarettes purportedly as a nicotine enhancer; to prevent afterglow in matches, in purifying sugar; as a flux for soldering tin, copper, zinc and brass; and to control precipitation of alkali-soluble and acid-insoluble colloidal dyes on wool.